Sector East Training Solutions Inc. (SETSI) is a Technical Vocational Institution accredited by TESDA to offer TVET Programs for Visual Graphic Design NC III. Our school is located at Sta. Elena, Markina City. What is Visual Graphic Design NCIII? Graphic Design is something which drives advertising and attracts us to brands. That is why it is said Graphic Design is so important to our everyday lives. Graphic designs are present everywhere to be found be it newspaper, magazines, Packaging, branding, websites, posters, books, signage. Graphic Design gives a Company a Face and Visual Presentation that just by looking at it; you have a feeling s and mental positioning in mind on the product. 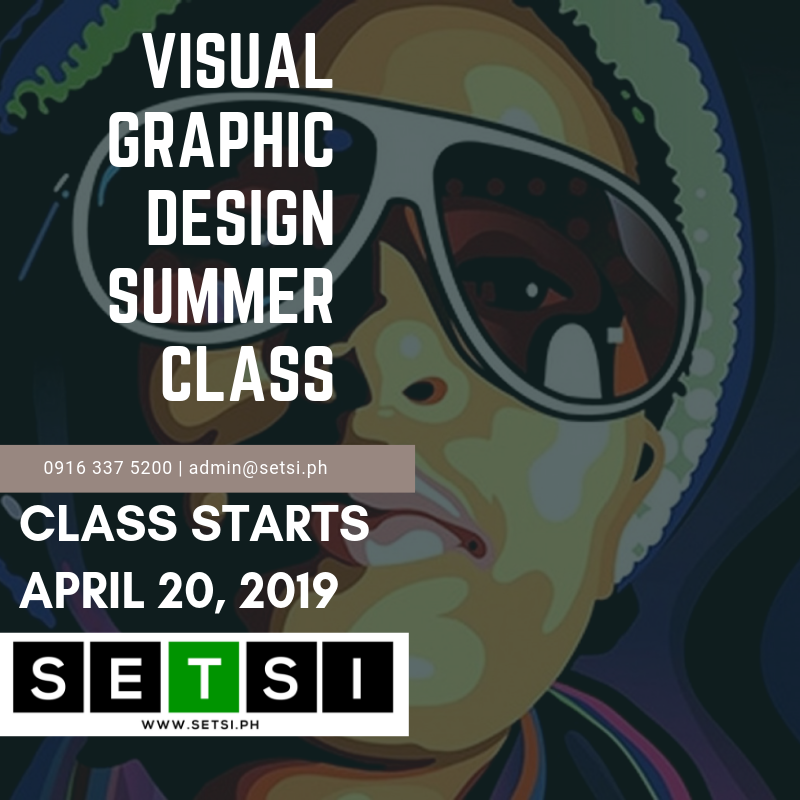 Visual Graphic Design NC III is a TVET Program by TESDA that aims to equip students with the necessary skills to use softwares such as Photoshop or similar for them to create various materials for marketing or personal use. - Familiarization of Software application including interface, tools, and shortcuts to create and edit designs. - Manage imagery, context, and attention for important consideration for all kinds of designs. - Know the best practices including industry standards on sizes, fonts, color scheme of the pubmats. - Demonstrate the ability to create and develop original concepts of design. The Visual Graphic Design program prepares you to start an international or local career in the advertising, social media marketing, copywriting, and visual editing. Professions after the program may lead to being - designers, content creator, photomanipulator, graphic artist.